Contact us by filling below form, we will back to you within 24hours (working days). – Product manual if you have question about how to use it. – Troubleshooting if you have encountered any technical issue. We use Shareit(https://www.mycommerce.com/) as our primary payment method which is reliable, Secure and Scalable payment solution company. We guarantee that 30 days no questions-asked refund. How to get keycode ? Keycode will be sent to you automatically within minutes. Check your spam mailbox if you didn’t receive the keycode. Can I enjoy a lifetime free update? Sure. If you buy our product, you don’t need to pay for the update of the product. Our software allows user to record all their favorite music from online streaming sites like – Spotify, Pandora, Grooveshark etc and save it in MP3 format in your portable device. This will enable the user to listen to their favorite music anytime offline. This audio recorder can record music from any online streaming site; here are some of the most popular online streaming site which works well for our software – Spotify, Pandora, iHeartRadio, Mixclouds, Grooveshark, Deezer, Myspace etc. 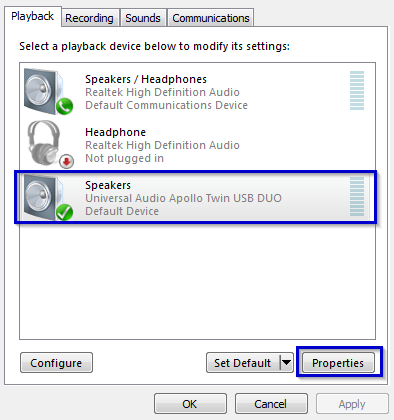 Just to reiterate this Audio Recorder does work with almost all Audio Streaming sites. 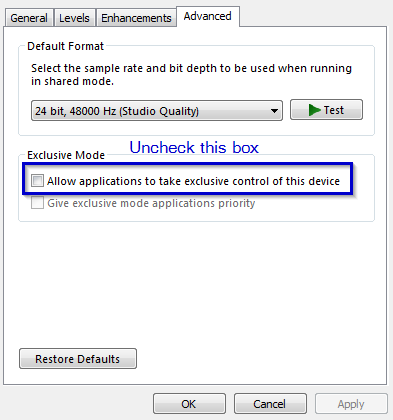 Turn off “Exclusive Mode” on your computer.